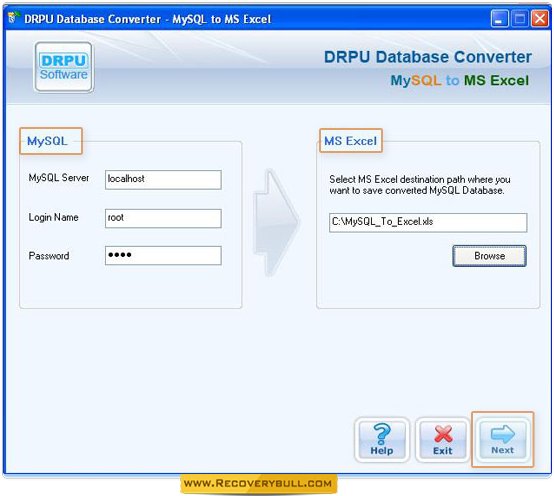 Enter MySQL Server, Login and Password as shown in left panel. 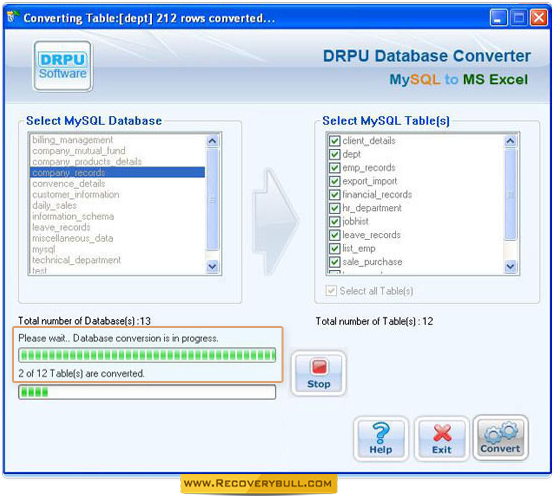 In right Panel, Select MS Excel Destination path. 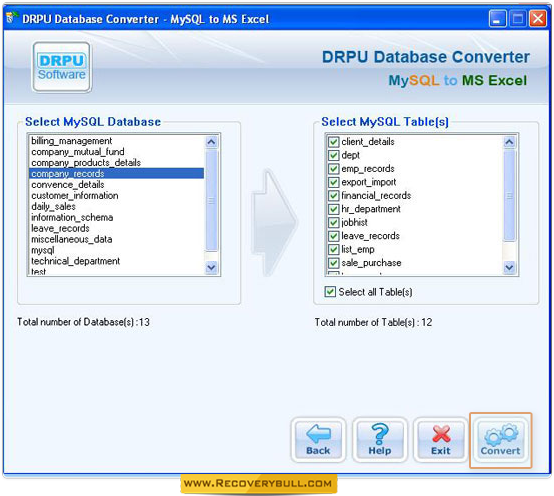 Select MySQL Tables from right panel then click “Convert” button to convert into MS Excel database.